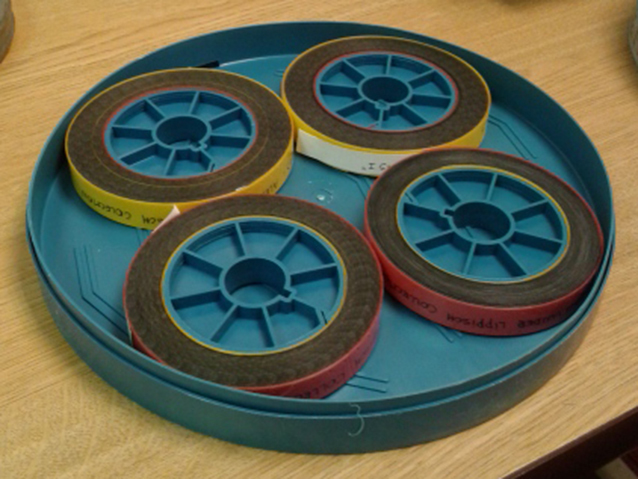 As Melissa mentioned in a previous blog, I am the 2014 Audiovisual Preservation Lennox Intern. My area of expertise is not books or paper, but I still deal with objects from the past that are part of our cultural heritage and that we must conserve, preserve, and when necessary (and possible) restore. 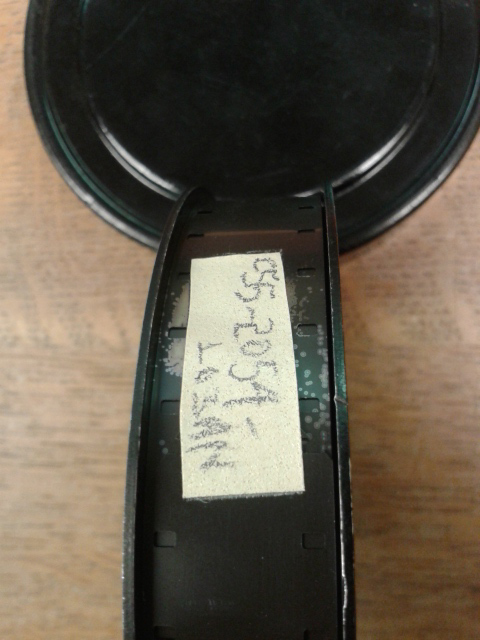 Even when paper conservators and film preservationists do not communicate with one another, their work has more in common than most of them probably suspect. Breaking down those barriers is one of my goals during my internship at the ISU Library. I hope to bring more thoughts and anecdotes about my work in a future post, but today I would like to tell you about my experience at the AMIA Conference 2014, held in Savannah, GA, on October 7th-11th. The Association of Moving Image Archivists (AMIA) has been working for several decades representing over 750 audiovisual archivists from all over the world. 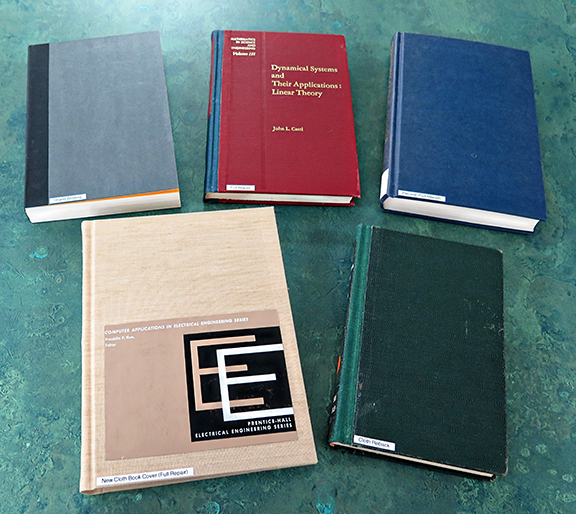 Since 1991, AMIA has formally been an individual-based professional association, unique in the field, providing representation and camaraderie not only to institutional archivists, but also to students and recent graduates. 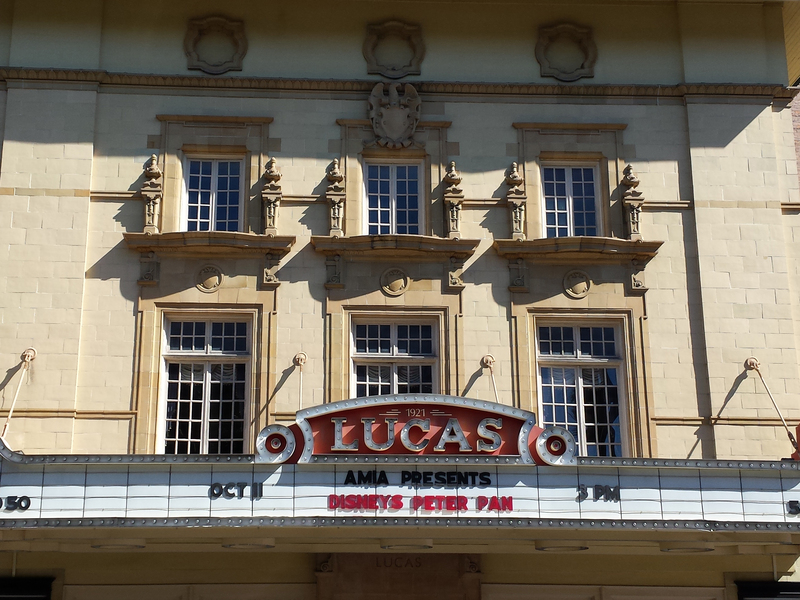 The Lucas Theater, in Savannah, GA, hosted the Archival Screening Night. Every year we gather in a beautiful city (Savannah, GA this year) to share experiences, exchange different opinions, raise questions, and learn from one another’s work. 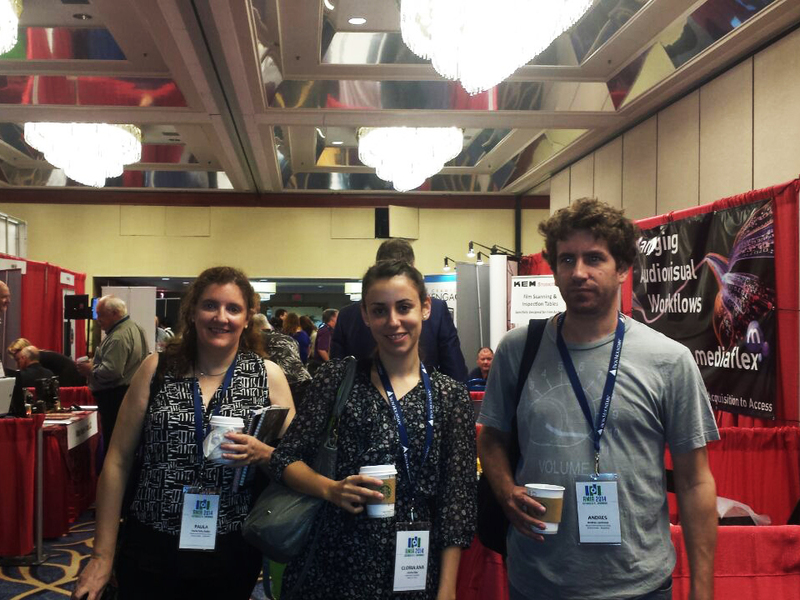 The AMIA conference is a great place for new film archivists to learn and network. 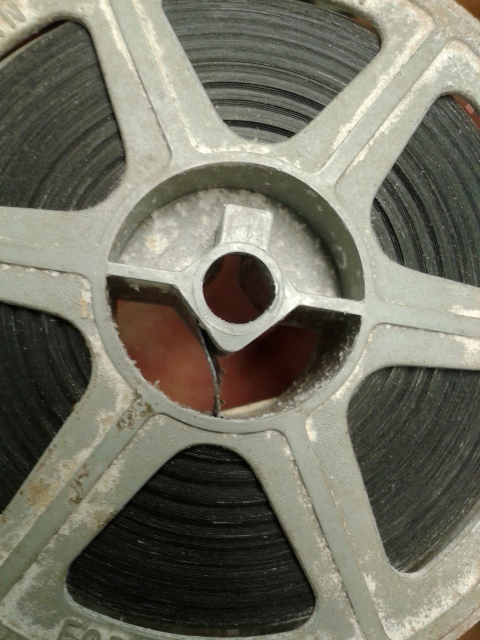 It is also a great opportunity for conservators, archivists, and librarians that have film collections in their care to learn the basics, ask questions, and make contacts that might come in handy when dealing with special materials. 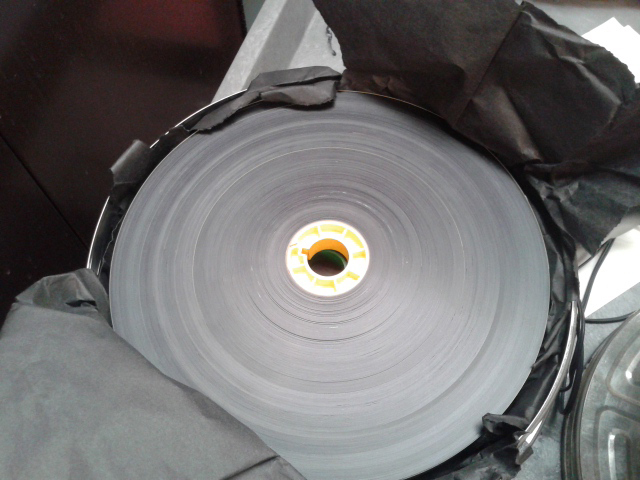 There are traditional topics that are always candidates for panels and discussions, such as acetate and nitrate deterioration, best practices, the unknown future of digital collections, and the transition from film to digital, among others. This year, the conference presented three curated streams of programming that analyzed matters that are of most interest in the present days. The first one was “Open Source Digital Preservation and Access” which covered the basics of open source software for audiovisual collections management and highlighted some relevant current projects. The second program (my favorite) was “Film in Transition,” which discussed the implications that the evolution of the industry — from film to digital — has for film archives and everyone who still needs to work with film stock. 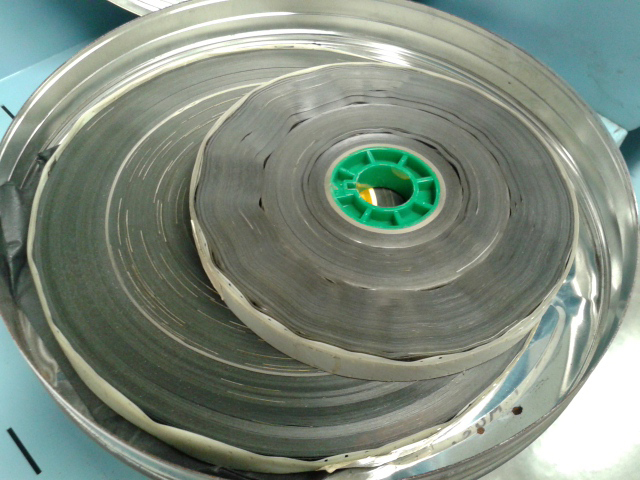 Basically, the question was: will archives will be able to continue to preserve films with so many labs closing and such a limited production of film stock? Last but not least, the third stream was entitled “Global Exchange,” and brought voices from all over the world to share solutions and exchange ideas. This year I was very happy to see a panel discussing the activities in the South American archives, and particularly the staff from Museo del Cine de Buenos Aires (Buenos Aires Film Museum), the most important film archive from Argentina, my home country. I met with Paula Felix-Didier and Andres Levinson from Museo del Cine de Buenos Aires. To conclude, there were two special moments that were my favorite. The archival screening night at the marvelous Lucas Theater, in which archives were invited to share a 6-minute clip from the treasures of their collections. 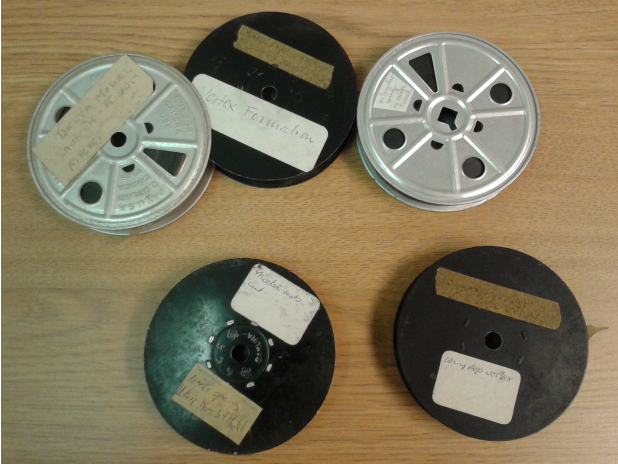 I would very much like to see something from the ISU Film Collection next year! 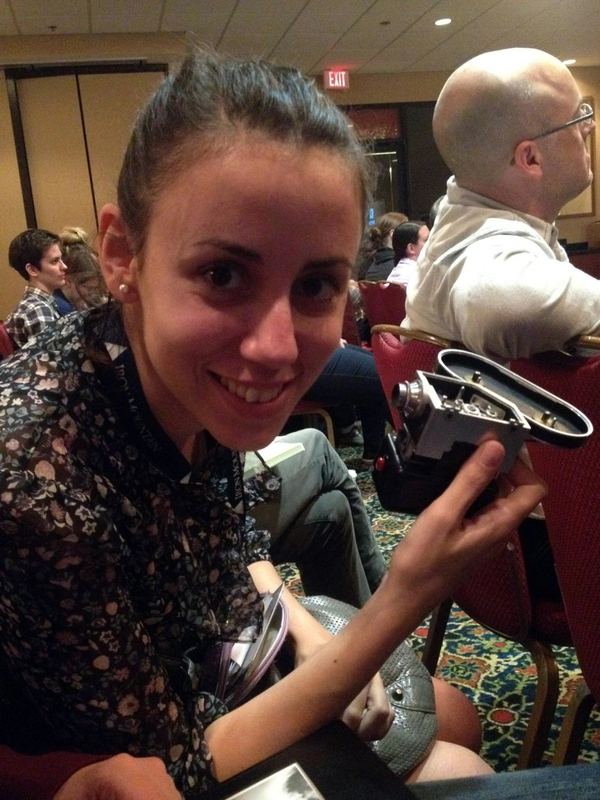 Last, the obsolete film formats panel, where they presented the smallest film gauge ever used, 3mm, the cutest medium ever! The smallest film gauge ever invented – 3 mm. 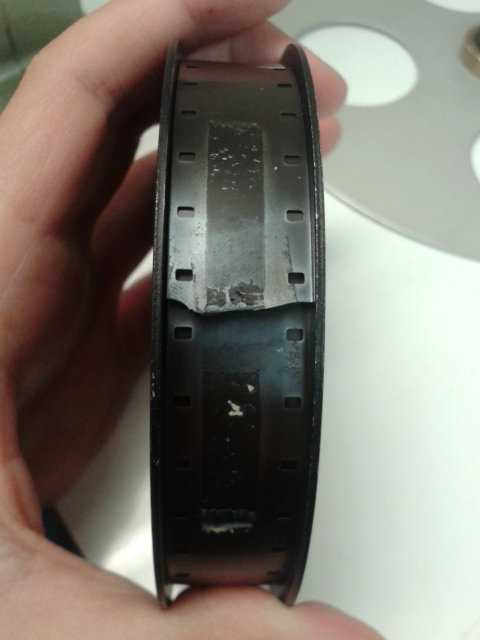 For more information on film preservation, visit the National Film Preservation Foundation. The main focus of my three months here at ISU is a collection of family documents titled the Van Zandt Family Papers. The collection contains documents from 1838-1990. The Van Zandt family started out in North Carolina, with some members of the family moving to Iowa in the mid-1800s. There are a couple significant portions of the collection: correspondence during the Civil War, during which time members of the family were located in both the North and the South, and correspondence during World War I. 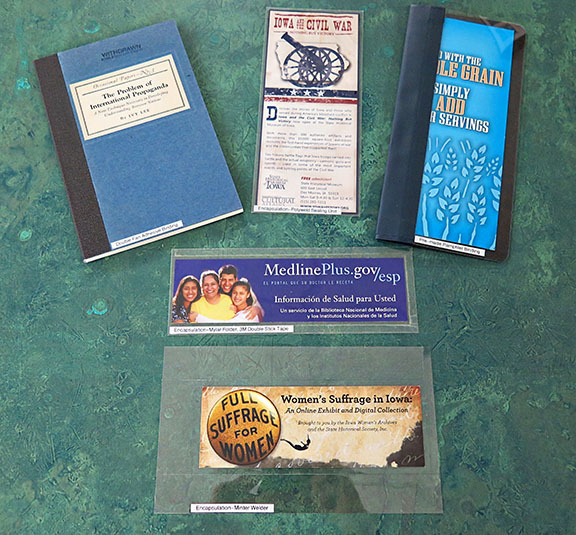 The collection contains a variety of objects, including letters, postcards, photographs, and legal documents. The photographs are my main focus. More information about the collection can be found here. Surface cleaning photographs in an album. My treatment of this collection is ongoing, but so far, the work I have carried out includes: surface cleaning using a soft brush to remove debris, mending tears and infilling losses on both the photographs themselves and on their backing boards, and removing accretions with a poultice made of methyl cellulose. 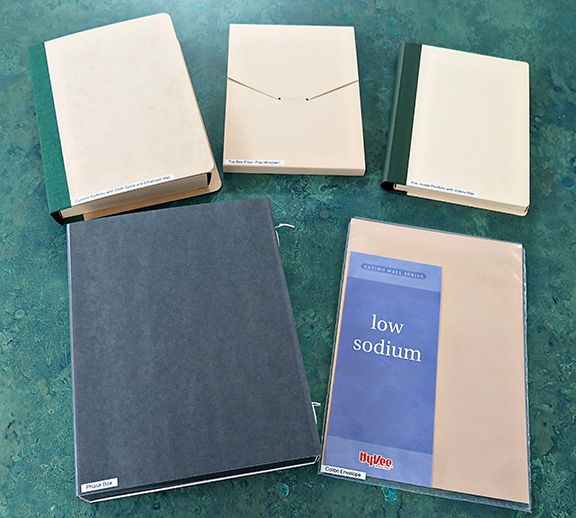 Some of the work to still be done includes: building up areas of loss on backing boards, repairing bindings on Daguerreotypes, and treating photographic albums. 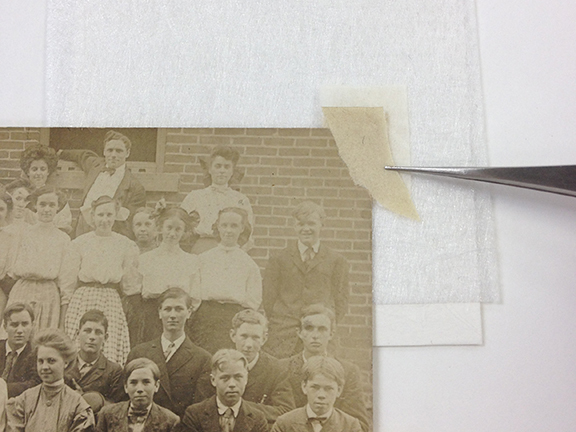 Using a methyl cellulose poultice to remove an accretion on the recto of a photograph. One issue the treatment of this collection has brought up is time management. As the internship only lasts three months, and I have other projects to complete in addition to the Van Zandt Family Papers, I knew I needed a treatment plan which would allow for various stages of completion depending on the amount of time I had available. What I came up with was a way to break down each type of treatment into levels of importance. Once the first level of importance is reached, I can go back and do the next level if time allows. This way, each photograph receives at least enough treatment to ensure its stability. Before and after tape/adhesive removal on the top, and an image of my tape/adhesive removal set up in the fume cupboard. Surface clean all photographs, using only a brush (no aqueous treatment) unless otherwise needed. 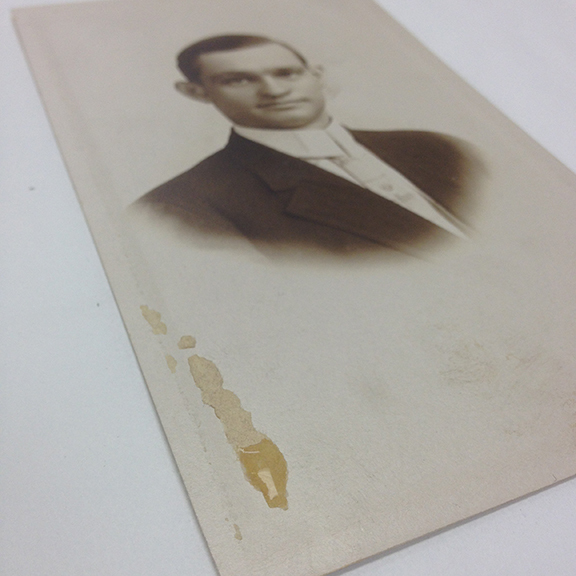 Repair any tears and infill all losses on every photograph, including the backing board. This will give necessary support to areas which need it. Remove any sticky adhesive, leaving carriers as they are. 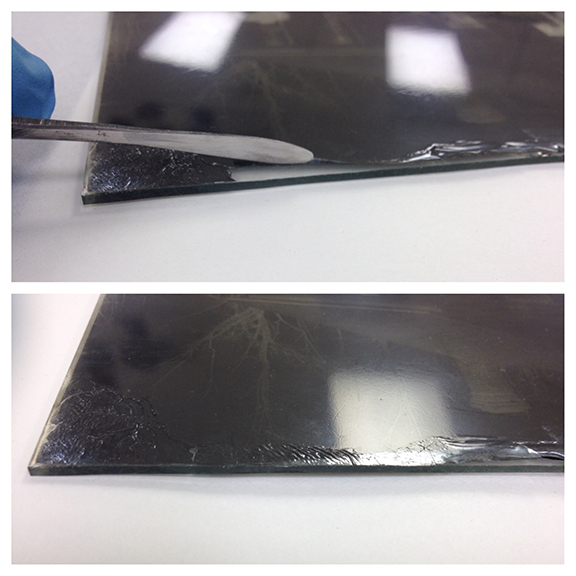 This will prevent the photograph from sticking to its enclosure, potentially causing further damage. Remove all carriers, and any residue beneath the carriers. Surface clean all photographs in the album, re-adhere any photographs which have failed adhesive, and interleave the pages with photograph-safe paper. 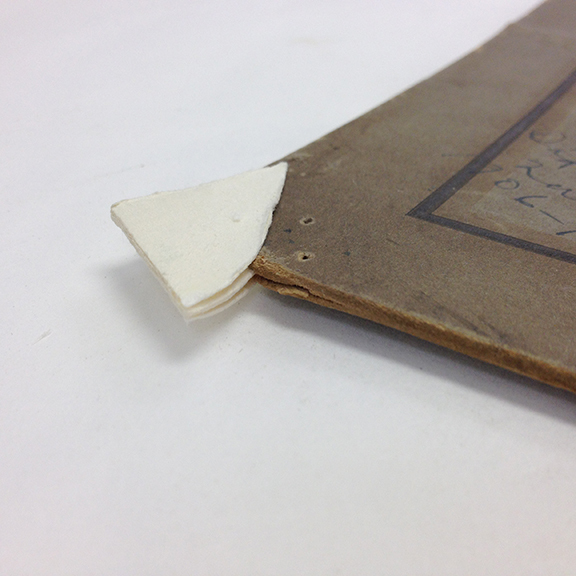 Consider removal of the photograph from the album, especially in albums which have heavily degraded the photographs. 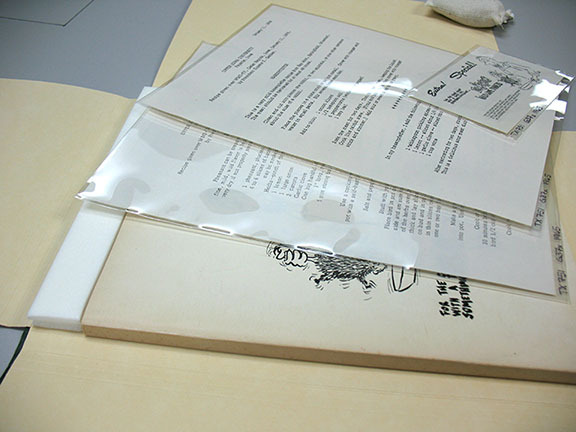 One possible solution would be to place each photograph in a Mylar enclosure, and adhere the enclosure to the spot the photograph originally was adhered. Working on an infill for a missing corner. In addition to learning more about the conservation of photographs, I am learning what it is like to juggle numerous projects with a time restriction. Taking the time to create a treatment plan like the one I have outlined has helped me organize my workflow, and has allowed me to complete the most imperative tasks first. I then have a plan in mind in the event that I have additional time to finish other treatments as well. This is a skillset, in addition to improving my bench skills, which I can carry with me throughout my career as a paper and photographs conservator. Today is the first day of the 2014 Lennox Foundation Internship for Preservation Education, Outreach, and Training. Our Lennox Interns often come during the summer months, but this year a Fall semester internship worked best for everyone. 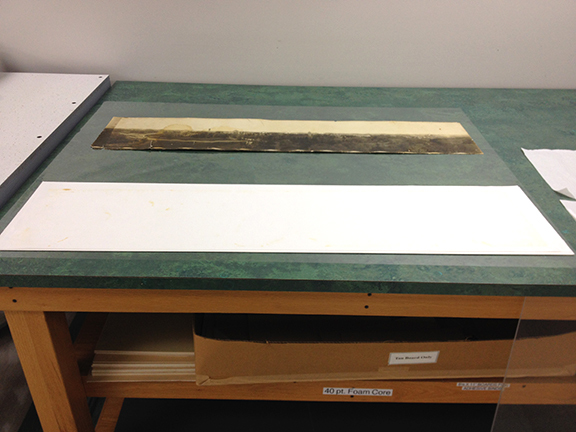 We have two Lennox interns this year, each specializing in a different aspect of preservation. 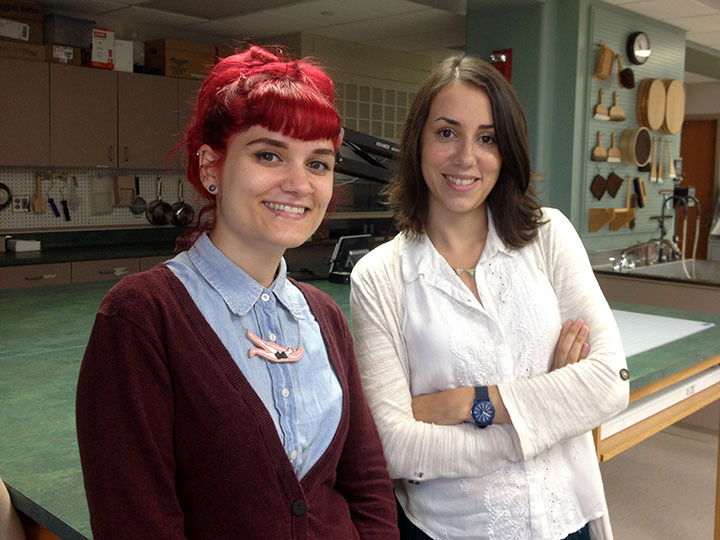 2014 Lennox Interns Nicole Monjeau (left) and Gloria Diez (right). 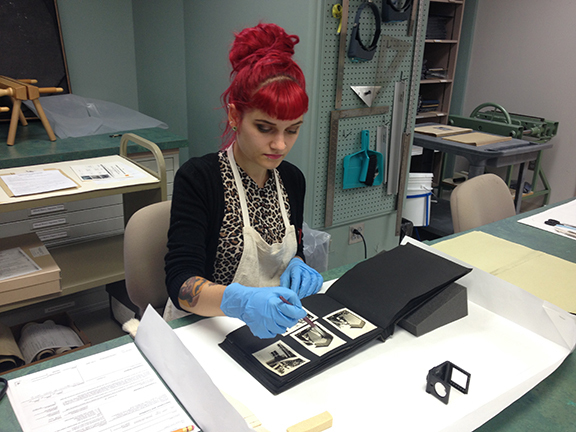 Nicole Monjeau is our Lennox Intern for Preservation of Photographic Materials. 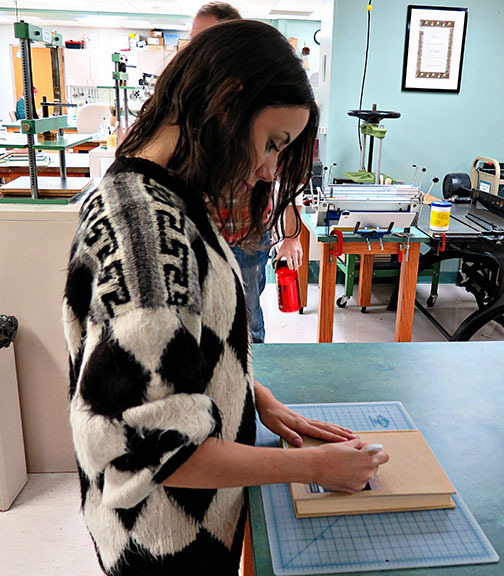 Nicole is from Minnesota, and just graduated with an MA in Paper Conservation from the Camberwell College of Arts, University of the Arts London. 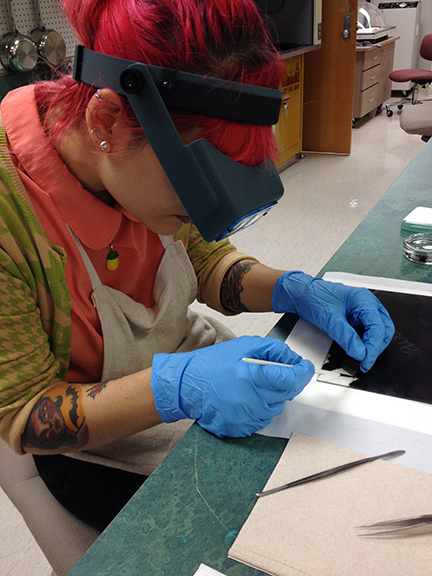 Nicole also has a BFA in Photography from the College of Visual Arts, St. Paul, MN, and within the context of her paper conservation training, focused as much as she could on photographic materials. She also recently attended a Professional Conservators in Practice short course in photograph conservation with Susie Clark at West Dean College in Chichester, England. 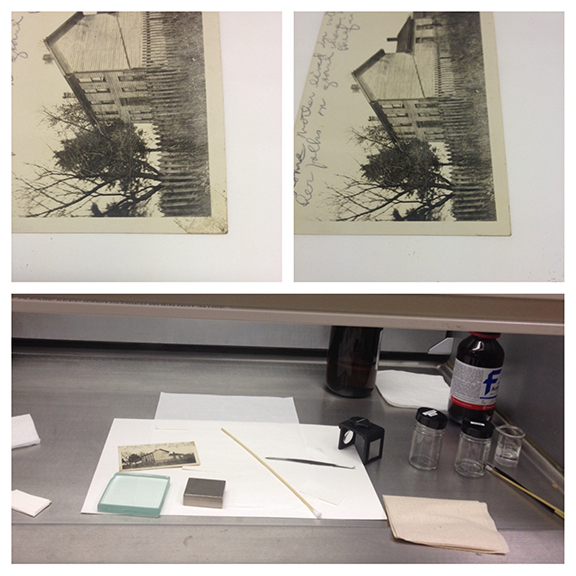 Nicole will be working on photographic collections from our University Archives, including some lantern slides and glass plate negatives which could use some TLC. Gloria Diez is our Lennox Intern for Preservation of Audiovisual Materials. Gloria is from Argentina, and just graduated from the certificate program at the L. Jeffrey Selznick School of Film Preservation at George Eastman House. She also has a BA in Art History and Theory with specialization in Cinema Studies from the Universidad de Buenos Aires. Her goal after completing her training in the U.S. is to return to South America and work toward preserving and making accessible Latin America’s audiovisual heritage. During her internship at ISU Library, she will assess our audiovisual collections in Special Collections and University Archives and devise a detailed preservation plan for them. In addition, Gloria will be training with me and technician Mindy Moeller in the conservation lab, where Gloria will learn basic paper and book repair techniques which may prove useful in her future work in a film archives. We are delighted to welcome Gloria and Nicole to the ISU University Library. Be sure to check the blog for updates from the interns themselves about their projects in the coming months!